if there's one thing i am a total sucker for on a weekend, it's a takeaway. there's something a little satisfying knowing you can just press a few buttons (phone, internet or app) and voilà in half an hour or so someone will be knocking on your door with a nice hot meal. not only that but it's incredibly, deliciously bad for you. oops, just one negative but hey! we are all allowed a treat now and a again. i'm a sucker for pizza so when JUST EAT asked me to get involved in the 'ultimate takeaway experience' i didn't even need to think about it. 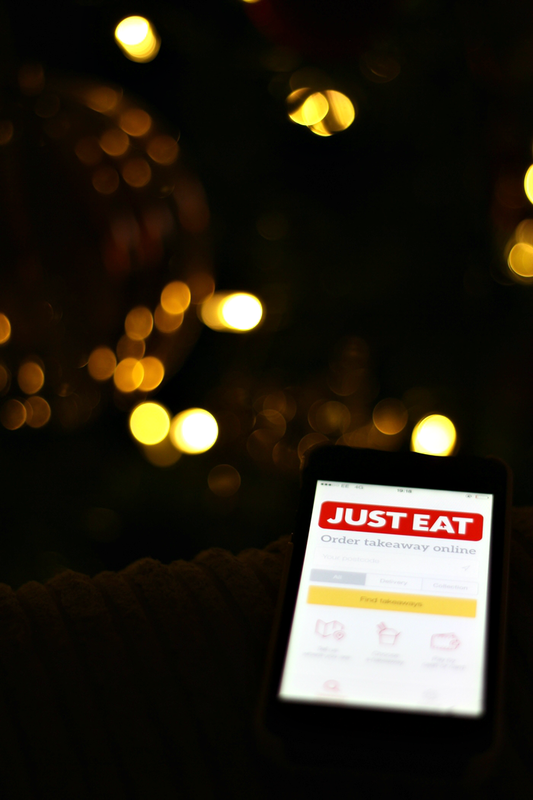 winding down after my first week in full time employment i was delighted with just how easy it is to use the JUST EAT app to place an order with takeaways in your local area. 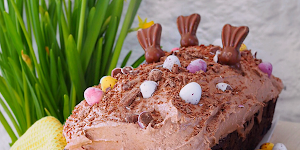 simply just pop in your postcode and use the filter to find what you're looking for; italian, chinese, indian or desserts, and tonnes of takeaway menus will be at your fingertips ready to add to the basket! i wanted to share my experience with my boyfriend and his parents so we all decided italian (aka PIZZA) would be the best option as we can try a bit of everything. within placing our order; remember you can add in the notes if you have any special requirements such as taking items out of the meal etc, it came in less than half an hour which is really quick for a friday night at 7pm. it was piping hot and so so good. i definitely was in a bit of a food hole afterwards but it was worth it. sorry if i've now given you the takeaway bug, especially as it is a saturday night. just think you could download the app straight now if you wanted to... go on! you'll thank me later, haha. 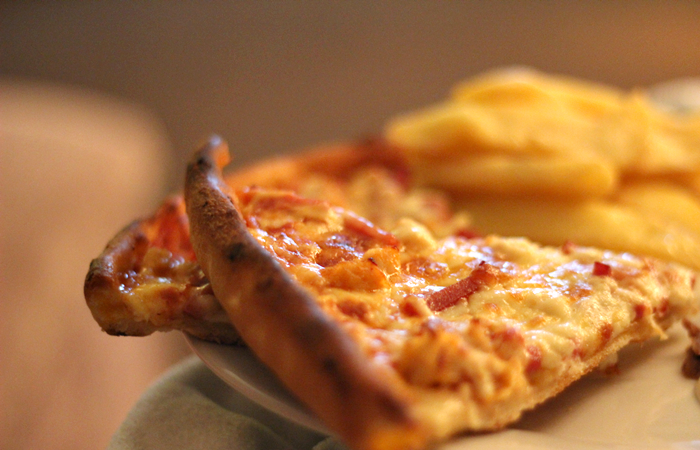 Mmm that pizza looks amazing. 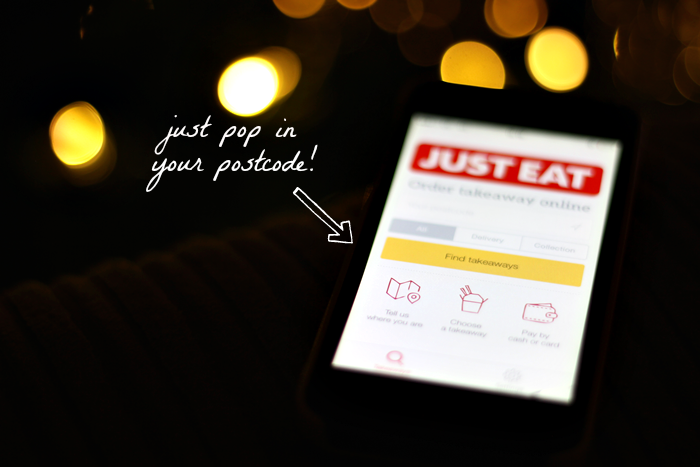 I'm definitely tempted to download the JustEat app! I always use just eat, this looks so yummy! Ah pizza is always a good shout! I love Just Eat, so convenient!